When you give money to a special needs trust, you may worry that you or the trust will owe the IRS money for the gift when Tax Day rolls around. Both assessing the gift tax and taxation of an SNT are very complicated topics that depend on the trust language and your circumstances. Here is some background information to help you prepare for speaking with your lawyer and accountant before you make a gift to an SNT. The IRS assesses taxes on some gifts that people make during their lifetime. If your total gifts to one person in a year are less than $15,000, or your total gifts to everyone in your lifetime plus your estate’s value are less than $11.18 million, then you and your estate will not need to pay any gift tax. The $15,000 limit is called the “gift tax exclusion” for 2018, and the $11.18 million amount is called the “lifetime exemption” for 2018. Both of these numbers can increase each year). 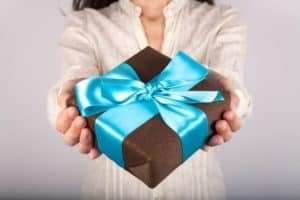 Will You Pay Gift Tax on Gifts to SNTs? Assuming you made a gift to an irrevocable third-party special needs trust, then you cannot receive the exclusion, and the gift counts against your lifetime exemption. Gifts of future interests (such as money that the person with special needs has a future right to use) do not qualify for the $15,000 gift tax exclusion. Also, you would need to report your gift to the IRS at tax time, and the gift amount reduces your $11.18 million lifetime exclusion amount. If at your death, the total of your lifetime gifts and your estate exceeds $11.18 million, then your estate will have to pay estate taxes. This is a complicated way of saying that you will not need to pay taxes now on the gift, but your estate might have to pay them later. Many people do not come close to meeting the lifetime exemption. What About Other Types of SNTs? If you do not know what kind of SNT your relative has, you should talk to a future and estate planning lawyer before you make the gift. Some third-party SNTs are revocable or have special “Crummey powers” of withdrawal that may affect gifts.